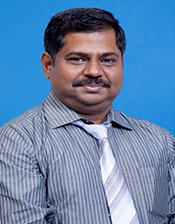 Dr. Janardan Pawar is working as Vice-Principal in Indira College of Commerce and Science since August 2003. His teaching areas C language, Data structures, Design and Analysis of Algorithms. He has completed his M.Phil in 2008 from Madurai Kamraj University and Ph.D in 2014 from Tilak Maharashtra University. He has presented and published more than 19 research papers in national and international conferences. He has authored books on Data Structure, Computer Fundamental and Business Informatics for SYBSc, FYBCom and FYBBA respectively. He has worked as co-ordinator for BCA and MCA(Commerce) practical examinations from 2010 to 2015. He was member of local enquiry committee and staff selection committee for Savitribai Phule Pune University from 2009 to 2016. He worked as a convener for NAAC in 2008 and 2015. He has membership with ISTE, INAAR, ISC professional bodies. He received 2 awards from Wipro Technologies in March-2014 and Aug-2014. Areas of Interest: C, Java, Software Eng. 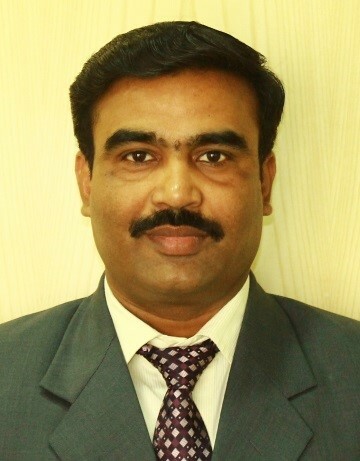 Mr. Shivendu Bhushan is associated with Indira College of commerce and Science, since 2004. He is heading BBA(CA) department. He had completed M.C.A. He had Published 06 books for BCA Course as per the syllabus of Pune University. He has Presented 15 research papers. He has been awarded First Prize in National Conference for best Research Paper at ICCS Pune. He has worked as Staff Selection Committee member since 2009 at various colleges of Pune. He is Currently Chairman of Advance Java subject of BCA. He worked as a Resource person in one day workshop on “Discussion on new syllabus in theory and practical for TY BCA. He worked as Resource person in the one day seminar on Open Source Technologies under the Quality Improvement Programme of UOP. Completed BCUD research Project as Principal Investigator in UOP. He had cleared certification of MTA, Database Fundamentals and MOS, Microsoft Office Excel 2007. Mr. Thomson Varghese is working as an Assistant Professor for Commerce department in Indira College of Commerce and Science since 2010. 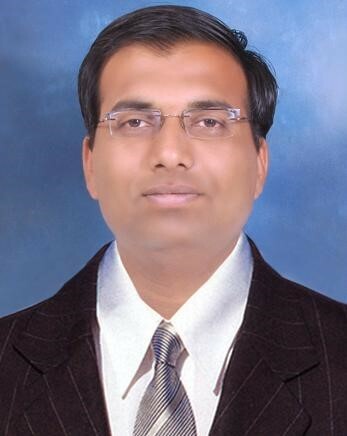 He has 7 years teaching experience at undergraduate level and over 2 years teaching experience at postgraduate level He has completed his Masters in Commerce (Business administration), Masters in Business Studies (Marketing), Post graduate diploma in International business, Diploma in business administration, Qualified State Eligibility test and registered for Ph.D from Savitribai Phule Pune University. He teaches Corporate Accounting, Advanced Accounting, Auditing and taxation, Management Accounting, Financial Management, Financial Analysis and control to the B.Com and M.Com Students. He has been actively involved in organizing visits to various renowned companies and institutions like Jawaharlal Nehru Port Trust, RBI Museum, Bombay stock exchange, National stock exchange, Mercedes Benz, Excursions etc. He had been invited as a resource person for training programs and guest lectures. He has published 11 research articles in national and international journals. He is also the training and placement officer for commerce department. Apart from the regular academic he is engaged with career counseling and mentoring of students. Being the class teacher he handles various administrative works. He has also been a part of university activities viz. Central Assessment Program Supervisor, Central Assessment Program coordinator, question paper setting, assessment of papers, attending various workshops like syllabus restructuring. He is actively engaged in organizing activities (curricular and co-curricular) viz. Outdoor Mgmt. training, Interclass competition, Exhibition and competition, Industrial visits, guest lectures, and workshops. 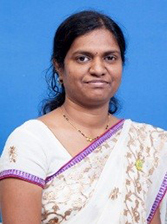 Ms. Vijaya Kumbhar is working as an Assistant Professor in Indira College of Commerce and Science since 2004. Her teaching areas are Programming Languages and algorithm analysis. She has completed her M.C.S. and M.B.S. from University of Pune and has also qualified UGC-NET examination. 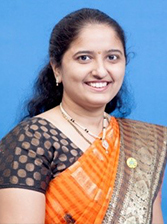 She is currently pursuing Ph.D. from Savitribai Phule Pune University in the area of Cloud Computing. She has presented and published 12 research papers in national and international conferences. She has co-authored a book for the SYBSc students entitled “Data Structures”, for FYBSc entitled ”C Programming” and for MSc entitled “Design and Analysis of Algorithms” published by Atharva Publications. She has been awarded for best research paper three times. Apart from teaching she handles many administrative chores and also guides and mentors the students being their class teacher. She has handled many university related activities viz. question paper setting, assessment of papers, attending various workshops like syllabus restructuring. She has completed Orientation and refresher program from SPPU. She is actively engaged in all happenings and activities (curricular and co-curricular) viz. organizing Interclass programming competition, Networking Model exhibition and competition, Industrial visits, guest lectures, and workshops. 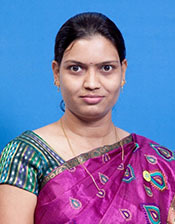 Ms. Manisha M. Patil is working as an Assistant Professor in Indira College of Commerce and Science since 2005. Her teaching areas are Programming in Java, Advanced Java, Principles of Programming Languages, Digital Image Processing, Mobile Computing, Soft Computing, Artificial Intelligence, Software Engineering, Software Project Management, Object Oriented Software Engineering, Software Architecture. She has completed her M.Sc. (Computer Science) from North Maharashtra University, Jalgaon and has also qualified SET examination and ISTQB Certified Tester- Foundation Level certification. She is currently pursuing Ph.D. from Symbiosis International University in the area of Android Security. She has presented and published 16 research papers in national and international conferences. She has co-authored a book for the SYBSc students entitled “Data Structures” published by Atharva Publication, for M.Sc. (CS) entitled ”Mobile Computing” and for MCA (mgmt.) entitled “Mobile Computing” published by Vision Publications. Apart from teaching she handles Training and Placement for M.Sc(CS) and MCA(Sci) and also guides and mentors the students being their class teacher. She has handled many university related activities viz. 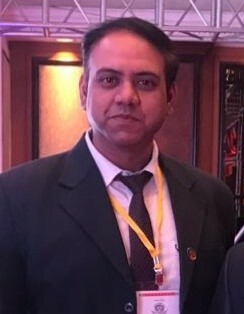 LIC Memebr , Syllabus Designing Committee member for University Courses, Chairman for question paper setting, assessment of papers, attending various workshops like syllabus restructuring. She has completed Orientation and refresher program from SPPU. She is actively engaged in all happenings and activities (curricular and co-curricular) viz. National level championship in association with IIT Bombay on Android, Python, IOT and organizing Industrial visits, guest lectures, and workshops. She is handling Microsoft Certifications and iEOC – Value Addition Training Programs. 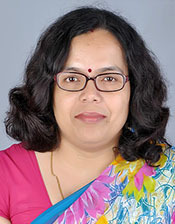 Ms. Sarita Byagar is working as an Assistant Professor in Indira College of Commerce and Science since 2005. Her teaching areas are Databases, Web Technologies, Data Mining, Distributed Databases and Soft Computing. She has completed her M.Sc(Comp Sci) from University of Pune and has also qualified UGC-NET examination. 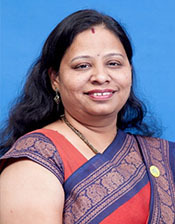 She is currently pursuing Ph.D. from Symbiosis International University in the area of Computer Studies. She has presented and published several research papers in national and international conferences. She has co-authored a book for the third year computer science students on the subject “Internet Programming” published by Success Publications and also has designed the lab book of third year computer science students in which she has contributed and designed practical assignments. She has been the “convener” for the past SIX years for the National Conference in Computer Science and Applications. She has been in the Editorial Board of the Conference proceedings book. Apart from teaching she handles many administrative chores and also guides and mentors the students being their class teacher. She has handled many university related activities viz. question paper setting, assessment of papers, attending various workshops like syllabus restructuring. She has completed Orientation and two refresher programmes from SPPU. She is actively engaged in all happenings and activities (curricular and co-curricular) viz. organizing Industrial visits, guest lectures, and workshops. Vishal Verma is working with Indira College of commerce and Science, Pune since 2007 as an Asst. Professor in BBA(CA) department. Completed M.C.A. in 2005 with 69%. He has Published 8 books For BCA and BBA Course as per the syllabus of Pune & Nagpur University. He has Presented Eight research papers (2 International and 6 National). Recently he awarded First Prize in National Conference for best Research Paper at ICCS Pune 2017. He has worked as Staff Selection Committee member since 2009 at various colleges of Pune like Dina, MIT, Ahmednagar, Abeda Inamdar, Swaraj College etc. Currently Chairman of I.T. in Business operations subject of BBM (IB). Worked as a Resource person in one day workshop on “Discussion on new syllabus in theory and practical for TY BCA. Worked as Resource person in the one day seminar on Open Source Technologies Under the Quality Improvement Programme of UOP. Completed BCUD research Project as Principal Investigator in UOP. Cleared certification of MTA, Database Fundamentals and MOS, Microsoft Office Excel 2007. 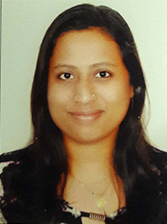 Ms. Tejashri Phalke is working as an Assistant Professor in Indira College of Commerce and Science since 2009. She has completed her M.C.A. from Pune University. She has presented and published 9 research papers in national and international conferences. She has attended various workshop, conferences and FDP. Her teaching areas are Programming Languages like C, C++, Web Technologies, Adv. Web Technologies, and so forth. Management subjects like Business communication, HRM, and so on. Besides teaching she handles many administrative responsibilities. 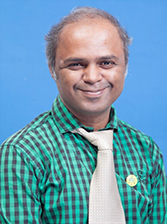 Prof. Ashish Dhoke is working as an Assistant Professor and Placement Officer (BCA) at Indira College of Commerce and Science, since 2008. His area of interest is Programming Languages and Software Engineering. He has completed his M.C.A. from University of Pune. He has presented and published various research papers in national and international conferences. Apart from teaching he handles much administrative work and also guides and mentors the students. He has handled many university related activities like question paper setting, assessment of papers, attending various workshops like syllabus restructuring, handled first year CAP and worked as Senior Supervisor for University Exams. He has conducted many pool placement drives for under graduate students. 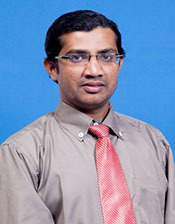 Mr. Badshaha Nadaf is working as an Assistant Professor in Indira College of Commerce and Science since 2009. His teaching areas are Programming Languages like core java, advance java and ERP. He has completed his Bsc in mathematics from Kolhapur University and completed MCA from Pune University. He has presented and published 6 research papers in national conferences. He has co-authored a book for the FYBCA students entitled “Business Communication”, published by TechMax Publications. 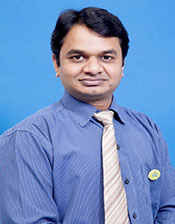 Dr.Santosh Kulkarni is working as an Assistant Professor in Indira College of Commerce and Science since 2006. He has completed M.Com (Advanced Cost Accounting & Taxation) G.D.C.&A, Set (Commece), D.C.O. & P.hd (Thesis Submitted). He has been teaching the B.Com & M.Com. He has an Experience of 10 years in the academics. He has presented 11 Research Papers in International Seminar, 6 Research Papers in National Seminar, 2 Research Papers in State Level Seminar. He has worked as a Senior Supervisor for M.Com/M.Sc./M.A. Examination. He has been a “Paper setter/Examiner & Moderator” for “Management Accounting” for BBM, & BBA. He has worked as a “NSS Programme Officer”. He has also worked as a “CAP Officer, CAP Co-ordinator, CAP Supervisor” for B.Com/B.Sc/BBA/BCA/BBM Examination. He has worked as a “Guest Lecturer” in Balaji College, IBMRCollege, D.Y.Patil College, Modern College, Pune. He has successfully completed Orientation Program organized by University of Pune. Recently His text book on “Financial Accounting” has been published which has been approved by University of Pune. 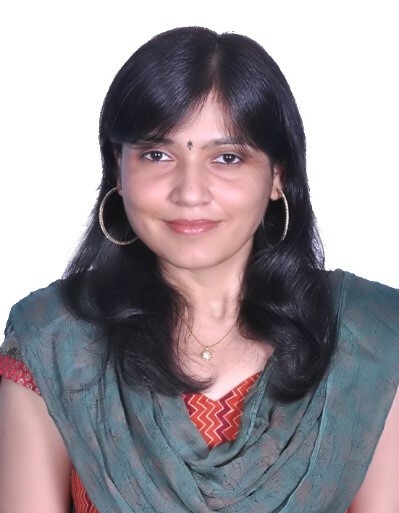 Ms. Vinita Shrivastava is working as an Assistant Professor in Indira College of Commerce and Science since 2011. She is teaching Economics to all the three years of bachelors of Commerce. She teaches Industrial Economics in M.COM. She has 9 years of teaching experience. She did M.A in Economics and B. Ed From Rani Durgavati Vishvavidyaylaya in Jabalpur in Madhya Pradesh. 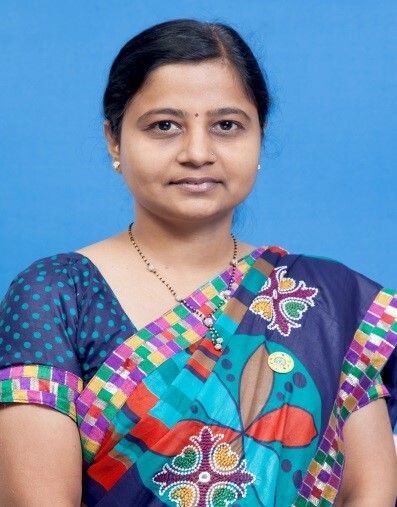 She has qualified SET (Maharashtra)in 2001.She is currently pursuing Ph.D. from Savitribai Phule Pune University in the area of Financial Inclusion. She has presented and published 12 research papers in national and international conferences. She has co-authored a book for the SYBCOM students entitled “Business Economics(macro)”, published by Atharva Publications. Apart from teaching she handles many administrative chores and also guides and mentors the students being their class teacher. She has handled many university related activities viz.,Squad Duty attending various workshops like syllabus restructuring.. She is actively engaged in all happenings and activities (curricular and co-curricular) viz. organizing Interclass Quiz competition, and Group Discussion, debate competition, Industrial visits, guest lectures, and workshops, Guidance to students for writing research paper. She is member of the board of Samiksha International Journal of Commerce, Economics and Management. Dr. Kishor Laxman Pathare is working as Director of Physical Education in Indira College of Commerce and Science since 2006. He has 12 years experience. He has completed his Masters, M.Phil. & Ph.D. in Physical Education from Pune University. Diploma in Sports Coaching from N.S.N.I.S. in Patiyala, Punjab. He has completed one refresher programme from SPPU. 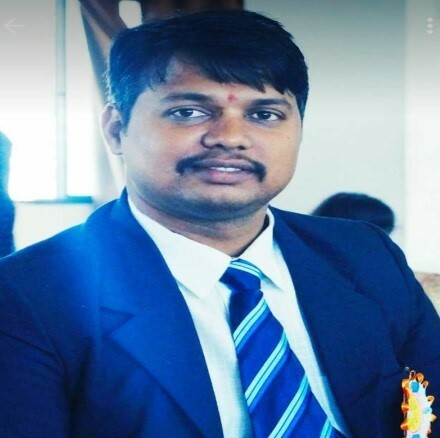 He was awarded with “Academic Jewel” in Indira Group in the 2014.He has been a part of university & Pune district sports zone’s sports competitions as Selector, Team Manager & Coach for Inter collegiate, Inter university competition. He has been worked twice for Pune district sports zone as ‘Joint Secretary’. He is actively engaged in organizing Inter Class, Inter Collegiate & Inter Zone competitions for students. He also organize sports competition for staff members. He is a mentor for students on fitness and sports career etc. 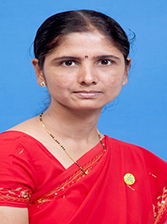 Ms. Jyoti Shrote is working as an Assistant Professor in Indira College of Commerce and Science since 2008. Her teaching areas are Digital Electronics, Analog Electronics, Digital System Design, Embedded System Design and communication Systems. She has completed M.Sc. (Electronic Science. She has presented and published 09 research papers in national conference. She has been the co-convener for student conference in computer science and application. She has handled many university related activities viz. question paper setting, senior supervision, assessment of papers, attending various syllabus restructuring workshops. She has designed Electronic practical handbook as per university practical for B.Sc(Computer Science). She has received 02 best research paper awards. 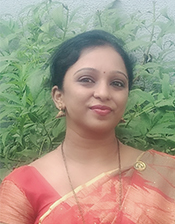 Ms. Shilpa S. Pawar is working as an Assistant Professor / College Librarian in Indira College of Commerce and Science since 2014. She has completed her M.L.I.Sc. and M.A. from University of Pune and has also qualified UGC-NET examination. She has L.L.B. graduate and successfully completed the Advance Certificate Course in Buddhist Studies in the year 2017. She has presented and published 4 research papers in national and 2 Research Papers in international conferences having impact factors and ISSN. Apart from handling Librarians duty she guided students for Avishkar. She has attended workshops and seminars related with her specialization and also working on the BCUD Minor Research Project as a Principal Investigator. E-Books Usage, Six Sigma and library automation are her areas of interest. She is working as College Magazine Editor of Indira college of Commerce and Science for the academic years 2014, 2015, 2016, 2017 & 2018 and also organizing library reader’s club activity in every week for our students. 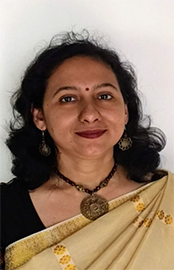 Ms. Yogita Sutar is working as an Assistant Professor in Indira College of Commerce and Science since 2014. Her teaching areas are Taxation, Costing and Accounting, Marketing. She has completed her M.Com. & PG-D.B.M. from University of Pune and has also qualified UGC-NET examination. She has presented and published 5 research papers in national and international conferences. Apart from teaching she handles many administrative chores and also guides and mentors the students being their class teacher. She has handled many university related activities viz. question paper setting, assessment of papers, attending various research workshops. She is actively engaged in all happenings and activities (curricular and co-curricular) viz. organizing Industrial visits, guest lectures. 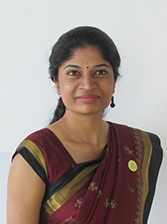 Ms. Vaishali M. Dhokchawle is working as an Assistant Professor in Indira College of Commerce and Science since 2014. Her teaching areas are Programming Languages and Networking. She has completed her M.Sc. (Comp. Sci.) from University of Pune and has also qualified UGC-NET examination. She has presented and published 6 research papers in national and international conferences. Apart from teaching she handles many administrative chores and also guides and mentors the students being their class teacher. She is actively engaged in all happenings and activities (curricular and co-curricular) viz. organizing Interclass programming competition, Networking Model exhibition and competition, Industrial visits, guest lectures, and workshops. 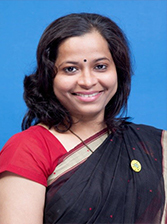 Ms. Sarika Thakare is working as an Assistant Professor in Indira College of Commerce and Science since 2007. Her teaching area is Statistics. She has completed her M.Sc. (Statistics) from Amravati University and M.B.S. (Marketing) from University of Pune and has also qualified SET examination in Mathematical Sciences. She has presented and published 14 research papers in national and international conferences. She has co-authored two books for the FYBCA students entitled “Elements of Statistics” published by Jay Publication and “Computer Applications in Statistics” by Success Publications. Apart from teaching she handles many administrative responsibilities and also guides and mentors the students being their class teacher. She has handled many university related activities viz. question paper setting, assessment of papers, attending various workshops like syllabus restructuring. She is actively engaged in all happenings and activities (curricular and co-curricular) viz. Debate Competition, Editorial Committee member of College Magazine, Admission Cell, Co-convener of National Conference, Parent-Teacher Meet etc. 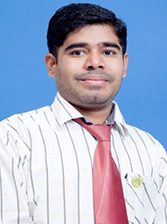 Mr. Mahendra Suryavanshi is working as an Assistant Professor in Indira College of Commerce and Science since 2013. His teaching areas are Data Structures, Computer Networks, Network Programming, System Programming and Operating Systems. 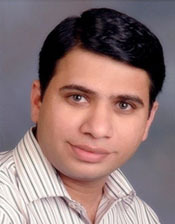 He has completed his M.Sc(Comp Sci) from University of Pune and has also qualified UGC-NET examination. He is currently pursuing Ph.D from Savitribai Phule Pune University in the area of Cloud Data Centers. He has presented and published several research papers in national conferences. He has been the “convenor” for Student Conference in Computer Science and Applications. He has handled many university related activities viz. handing of practical examination, assessment of papers, attending various workshops like syllabus restructuring. Mr. Vijay Daulatrao More is working as an Assistant Professor in Indira College of Commerce and Science since 2006. His teaching areas are Fundamental of electronics, Analog Systems, Microcontroller and Communication Principles. He has completed his M.Sc. in Electronics Science and M.A. in Marathi from University of Pune and has also qualified UGC-NET examination. He has published 4 research papers in national conferences. Apart from teaching he handles many administrative chores and also guides and mentors the students being their teacher. He has handled many university related activities viz. assessment of papers, attending various workshops like syllabus restructuring, conduction of university examination. He is actively engaged in all happenings and activities (curricular and co-curricular) viz. debating competition, guest lectures and workshops. He is appointed as Student Development Officer. He promotes and co-ordinates the different students’ activities to nurture students’ mental, physical, cultural growth with various activities to improve their overall personality development. Qualification:Ph. D (Envir. Sci. ), M.Sc. Dr. Chandrashekhar Pawar is working as an Assistant Professor in Indira College of Commerce and Science since 2015. His teaching area is Environmental Science. 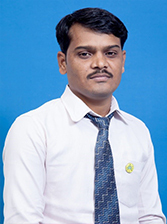 He has completed his M.Sc (Environmental Science) and Ph.D from BAMU, Aurangabad. He has published 40 research papers in national and international Journals. He has authored a 12 Academic books for the B.Sc.II, B.Com II, B.Ed & M.Ed students and 04 Books for Government and elected representatives. (Ministry of Panchyat Raj, Government of India has published 04 books). Apart from teaching he is also Academic Research Coordinator (ARC) for our college since 1st August 2015 to till this date. He is also participated in syllabus restructuring committee for Fergusson College for B.Sc.II (Environment Science). He is elected as Master trainer for Government of Maharashtra for Watershed development and livelihood promotion programs. He delivered more than 20 technical sessions for Government officers at YASHADA, an apex training Centre Government of Maharashtra. He is also participated in Avishkar 2018 held at D.Y.Patil College Akurdi. He also organized mega e waste collection drive in PCMC area with collaboration of Environment Conservation Association (ECA), Pimpiri Chinchwad..
Mr. Ninad N Thorat is working as an Assistant Professor in Indira College of Commerce and Science since 2016. His teaching areas are Data Structures, Computer Networks, Network Programming, System Programming, Digital Image Processing and Operating Systems. 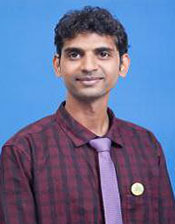 He has completed his MCA(Comp Sci) from Computer science Department university of Pune and has also qualified UGC-NET examination in 2014. He is currently pursuing Ph.D from Savitribai Phule Pune University in the area of Image Processing. He has presented and published several research papers in national conferences. He has been the “co-convenor” for Student Conference in Computer Science and Applications. He has handled many university related activities viz. handing of practical examination, assessment of papers etc. Ms. Ratna Ashok More is working as an Assistant Professor in Indira College of Commerce and Science since July,2016. Her teaching areas are Commerce, Management, Banking & Finance and Economics. She has completed her M.Com from University of Pune and has also qualified UGC-NET examination. She has completed her bachelor degree in education (B.Ed.) having special subject English and Mathematics. She is currently pursuing P.hD from Ness Wadia College of Commerce in the area of Cost & Works Accounting under SSPU. She has presented and published four research papers in National and International conferences. She is actively engaged in all happenings and activities (curricular and co-curricular) viz. Commerce Club, Commerce Association, organizing Industrial visits, guest lectures, and workshops. 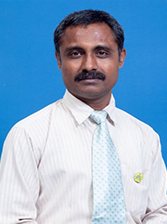 Mr. Avinash C. Shingte is working as an Assistant Professor in Indira College of Commerce and Science since 2004. His teaching areas are Digital Electronics, Analog Electronics, Digital System Design, Embedded System Design, Computer Architecture. He has completed M.Sc. (Electronic Science), M. Phil. He has presented and published research papers in national conference. He has been the co-convener for national conference in computer science and application. He has worked as a NSS-UOP program officer for 6 years . He has handled many university related activities viz. question paper setting, senior supervision, assessment of papers, attending various syllabus restructuring workshops, delivered guest lectures. He has designed Electronic practical boards as per university practical for B.Sc(Computer Science). Mrs. Vishranti Gharge is working as an Assistant Professor in Indira College of Commerce and Science since 2007. Her teaching areas are RDBMS, Programming Languages and DBA. Her keen interest is in NLP and Machine Learning Algorithms to apply in real projects. She has completed her M.C.A.from Sivaji University Kolhapur and also scored MOS Exam. She has also worked in MCA Department of IGI. She has presented and published 6 research papers in national and international conferences. She has co-authored a book for the MCA students entitled “Object Oriented Analysis and Design”. Apart from teaching she handles many other chores like convener in International Joint Conference on Natural Language Processing & Big Data and co-convener in National Conferences. She also guides and mentors the students regarding currents trends and affairs. 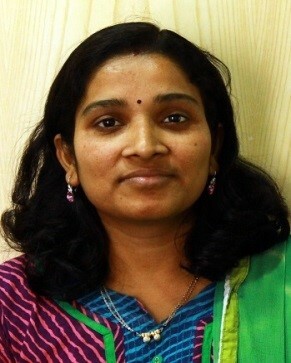 Mrs. Ashvini Shende is working as an Assistant Professor in Indira College of Commerce and Science since 2008. Her teaching areas are Database, Software Engineering, Software Project Management. She has completed her M.C.S. and M.B.S. from University of Pune and M.Phil in computer science from Alagappa University. 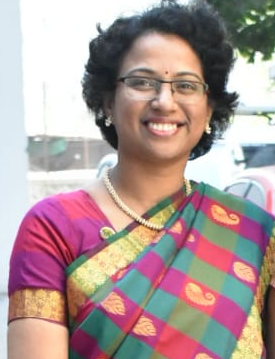 She has completed for Ph.D for the topic “A study of Collecting Needs in Software Development process and its impact on Business of selected IT Companies in Pune”. She has presented and published 16 research papers in national and international conferences. She is also playing role of convener for National Conference since 2012. Also she is editor of National Conference Proceeding since 2012. Apart from teaching she handles many administrative chores and also guides and mentors the students being their class teacher. She has handled many university related activities viz. question paper setting, assessment of papers, attending various workshops like syllabus restructuring. She is actively engaged in all happenings and activities (curricular and co-curricular) viz. organizing Interclass programming competition, Networking Model exhibition and competition, Industrial visits, guest lectures, and workshops. 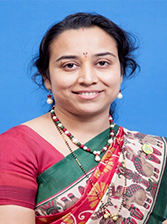 Mrs. Kavita Dhakad is working as an Assistant Professor in Indira College of Commerce and Science since 2008. Her teaching areas are Computer Graphics, Software Engineering, Object Oriented Software engineering, Databases. She has completed her M.Sc(Comp Sci) from North Maharashtra university and has also qualified SET examination. She is currently pursuing M.Phil. from Tilak Maharashtra University in the area of Management Studies. She has presented and published several research papers in national and international conferences. She has been the “Co-convenor” for the past for the National Conference in Computer Science and Applications. Apart from teaching she handles many administrative chores and also guides and mentors the students being their class teacher. She has handled many university related activities viz. assessment of papers, attending various workshops like syllabus restructuring. She is actively engaged in guest lectures. 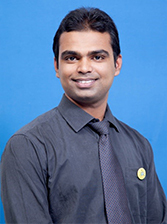 Mr. D’souza Clifford is working as an Assistant Professor in Indira College of Commerce and Science since 2009. His teaching areas are Business Mathematics and Statistics, Costs and Works Accounting. He has completed his M.Com from University of Pune. He has presented and published 3 research papers in national and international conferences. Apart from teaching he handles many administrative chores and also guides and mentors the students being their class teacher. He has handled many university related activities viz. assessment of papers, attending various workshops like syllabus restructuring. He is actively engaged in all happenings and activities (curricular and co-curricular) viz. organizing Interclass competition, Industrial visits, guest lectures, and workshops. 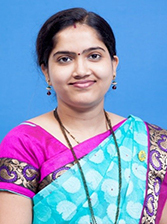 Mrs. Shital Pashankar is working as an Assistant Professor in Indira College of Commerce and Science since 2010. Her teaching areas are Databases, Web Technologies, Data Mining, and CPP. She has completed her M.Sc(Comp Sci) from University of Pune and has also qualified UGC-NET & SET examination. She is the “Training and Placement Officer (TPO)” for Bsc(CS) since 2012. She has attended placement meets for several companies. She has presented and published several research papers in national conferences. She has been the “co-convenor” for the National Conference in Computer Science and Applications. Apart from teaching she handles many administrative chores and also guides and mentors the students being their class teacher. She has handled many university related activities viz. assessment of papers, attending various workshops like syllabus restructuring. She is actively engaged in all happenings and activities (curricular and co-curricular) viz. organizing Pre-Placement activities and Placement Drives for UG students, guest lectures. 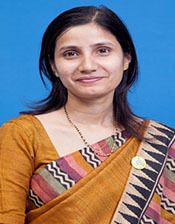 Mrs. Ujwala Kolte is working as an Assistant Professor in Indira College of Commerce and Science since 2011. Her teaching areas are Programming Languages and Java Programming. She has completed her M.Sc. from North Maharashtra University and has also registered for Ph.D. in Symbiosis University. She has presented and published 3 research papers in national and international conferences. Apart from teaching she handles many administrative chores and also guides and mentors the students being their class teacher. She has handled many university related activities viz. assessment of papers, attending various workshops like syllabus restructuring. She is actively engaged in all happenings and activities (curricular and co-curricular) viz. Industrial visits, guest lectures, and workshops. Mr. Shantilal T. Ghalme is working as an Assistant Professor in Indira College of Commerce and Science since 18th June 2012. His teaching area of interest is Linear Algebra. He has completed M.Sc. (Mathematics) from SPPU Pune and has also qualified CSIR-NET examination. He has authored a book for the S.Y.B.Sc. (Computer Science) Students entitled “Practical Book in Mathematics”. He has handled many university related activities viz. question paper setting, assessment and Moderation of papers, Attending various workshops like syllabus restructuring etc. He is actively engaged in all happenings and activities (curricular and co-curricular) viz. guest lectures, Pi Day Competition, National International Conferences and workshops. Ms. Anita Rathod is working as an Assistant Professor in BBA & BBA-(IB) Department, Indira College of Commerce and Science since 2012. Her teaching areas are Human Resource Management and International Business. She has completed her M.B.A.(HR), M.B.A.(Marketing) and D.L.L.&L.W. from Savitribai Phule Pune University, Pune. 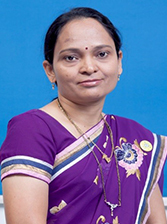 She is currently pursuing Ph.D. from Dr. Babasaheb Ambedkar Marathwada University in the area of Management. She has presented and published 8 research papers in national and international conferences amongst that 1 paper is having impact factor. She has participated in several seminars and conferences. Apart from teaching she handles many administrative chores. Being Class Teacher, she performs role of Mentor, Instructor and Guide. She has handled many university related activities viz. question paper setting, assessment of papers, attending various workshops. She is actively engaged in all curricular and co-curricular activities. She conducts Classroom events for students viz. Poster Presentation, Business Planning, Sectorial Presentation, Model making, Role Play etc. She actively participated in HR Club activity to give practical oriented approach to HR students such as, Recruitment Process, Training Module, Functions of HR. Qualification:B.Com, M.Com, MCM, PGDBM, M.B.S. 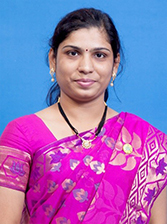 Mrs. Shubhangi Sanjay Chavan is working as Lecturer in Indira College of Commerce and Science since 2012. Her teaching areas are in Management & Computer subject which includes Software Engineering, DBMS, HRM, PPM, OB, Financial Accounting etc. She has completed her B.Com, M.Com, MCM, PGDBM, MBS from Savitribai Phule Pune University. She has presented and published 5 research papers in national and international conferences. Apart from teaching she handles Third Year Projects. As a class teacher she guides and mentors the students. She has worked as external examiner in different colleges. Orientation and refresher program from SPPU, she is actively engaged in all happenings and activities (curricular and co-curricular) viz. organizing Interclass programming competition, Group Discussions, IT Quiz , Case Study Competition, guest lectures, and workshops etc. 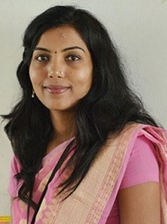 Mrs. Sarika Sawant is working as an Assistant Professor in Indira College of Commerce and Science since 2011. Her teaching areas are Programming Languages and Java Programming. She has completed her M.Tech. from Mumbai University. She has presented and published 4 research papers in national and international conferences. Apart from teaching she handles many administrative chores and also guides and mentors the students being their class teacher. She has handled many university related activities viz. assessment of papers, attending various workshops like syllabus restructuring. She is actively engaged in all happenings and activities (curricular and co-curricular) viz. Industrial visits, guest lectures, and workshops. Mr. Sumit Subhash Sasane is working as Lecturer in Indira College of Commerce and Science since 2014. His teaching areas are in C, C++,VB Programming Languages and BM , OT as mathematical subjects. He has completed her M.C.A. from University of Pune. He has presented and published 4 research papers in national and international conferences. Apart from teaching he handles national service scheme (NSS) as NSS officer for Indira College of commerce and science and also guides and mentors the students being their class teacher. He has done various external examiner duties in different colleges. Orientation and refresher program from SPPU he is actively engaged in all happenings and activities (curricular and co-curricular) viz. organizing Interclass programming competition, and competition, Industrial visits, guest lectures, and workshops. 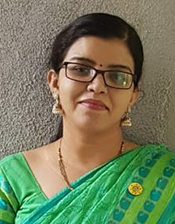 Mrs. Madhavi Avhankar is working as an Assistant Professor in Indira College of Commerce and Science since 2015. Her teaching areas are Programming Languages and algorithm analysis. She has completed her M.C.S. from University of Pune and has also qualified UGC-NET and SET examination. She has presented and published 5 research papers in national and international conferences. Apart from teaching she handles many administrative chores and also guides and mentors the students being their class teacher. She has handled many university related activities viz. assessment of papers, attending various workshops like syllabus restructuring. She is actively engaged in all happenings and activities (curricular and co-curricular) viz. Industrial visits, guest lectures, and workshops. 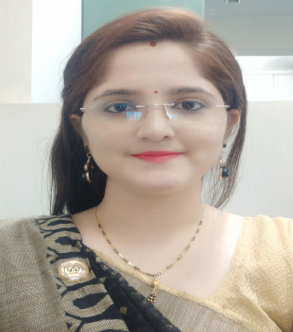 Ms. Sutapa Chakraborty Pal is working as an Assistant Professor in Indira College of Commerce and Science since 2015. Her teaching areas are Mathematics and its application. She has completed her M.Sc in Pure Mathematics from University of Kolkata and has also qualified UGC-NET examination. She has an additional B.Ed degree from same University. She has presented and published 2 research papers in national conferences. She handles many additional duties and also guides and mentors the students being their class teacher. She has handled many university related activities viz. question paper setting, assessment of papers, attending various workshops like Effective Teaching etc. She is actively engaged in all happenings and activities (curricular and co-curricular) viz. organizing Interclass competition, guest lectures, and workshops. 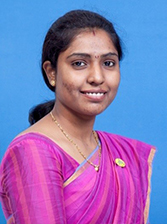 Ms. Bhakti Shinde is working as an Assistant Professor in Indira College of Commerce and Science since 2008. Her teaching areas are Programming Languages and compiler construction. She has completed her M.Sc(Comp.Sci.) and M.B.S. from University of Pune . She has presented and published 2 research papers in national conferences. Apart from teaching she handles many administrative works and also guides and mentors the students being their class teacher. She has handled many university related activities viz. assessment of papers, assistant to senior supervisor. 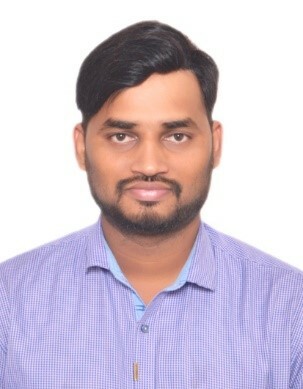 Mr. Bharat Nagargoje is working as Assistant Professor in Indira College of Commerce and Science since September 2018. His teaching areas Banking, Economics, Management Accounting, Cost Accounting. He has passed NET & SET exam in Commerce as well as NET with JRF in Management. He has completed his M.Com. from Shivaji University in 2005 and done his Master’s in Business Administration (MBA) – specialized in Core Finance from Synergy institute in 2008. He started his career with a responsible position in reconciliation of financial transactions. He has a rich industrial experience of 7 years where he worked as Assistant Manager in one of the reputed KPO. Out of his passion he inclined himself towards teaching. He has presented and published more than 3 research papers in national and international conferences. 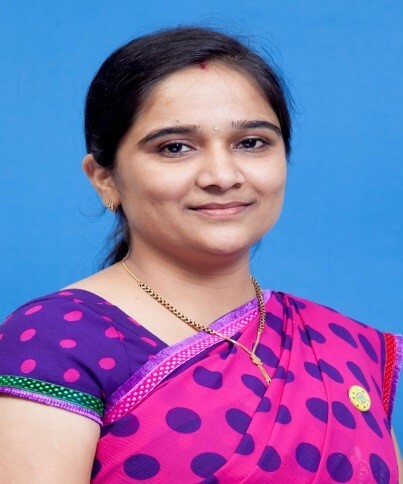 Mrs. Poonam Pawar is working as an Assistant Professor in Indira College of Commerce and Science since 2010. Her teaching areas are Data Structures, C++, Operating System and DBMS. She has completed her M. Sc(Comp Sci) from University of Pune . She has presented and published several research papers in national conferences. She has been the “co-convener” for the Student Conference in Computer Science and Applications. Apart from teaching she handles many administrative chores. She has handled many university related activities viz. assessment of papers, attending various workshops. She is actively engaged in all happenings and activities (curricular and co-curricular) viz. Industrial Visits, Pi-day competition. Areas of Interest:Digital Electronics, Analog Electronics, Communication Principles, Embedded System. Mr. Valmik Kashinath Dhanwate is working as an Assistant Professor in Indira College of Commerce and Science since 2018. His teaching areas are Digital Electronics, Analog Electronics, Digital Hardware System Design, Embedded System Design, and Computer Architecture. He has completed M.Sc. (Electronic Science) from University of Pune. He has handled many university related activities viz. senior supervision, assessment of papers, delivered guest lectures. 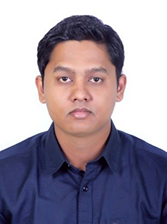 Ravindra Arjun Sarje is working as an Assistant professor of electronics in Indira College of Commerce and Science since August 2018. He has completed his M.Sc. from the Department of Electronic Science, Savitribai Phule Pune University. And he is currently pursuing PhD in electronics from S.P.PU. He has qualified UGC-NET and Gate. He has published 4 research articles in conferences/journals. He has more than 4 years of research experience where he has worked in various fields of electronics like MEMS, Optical Sensors, Sugar Sensor, bacterial detection. He has also worked as an NSS programme officer. Mrs. Pooja Varia is working as an Assistant Professor in BBA & BBA-(IB) Department, Indira College of Commerce and Science since 27th February,2018. Her teaching areas are Business Management, Communication Skills & Personality development. She has completed her Masters of Management Studies (Human Resources) from Mumbai University. Apart from teaching she handles many administrative chores and also guides and mentors the students being their class teacher. She is actively engaged in all happenings and activities (curricular and co-curricular) viz. Industrial visits, guest lectures, and workshops. She conducts Classroom events and college level events for students viz. Poster Presentation, Business Planning, Corporate Spectrum, Indira Knowledge Arena(IKA), Role Play etc. She actively participated in HR Club activity to give practical oriented approach to HR students. Areas of Interest:Finance, Entrepreneurship and Management. 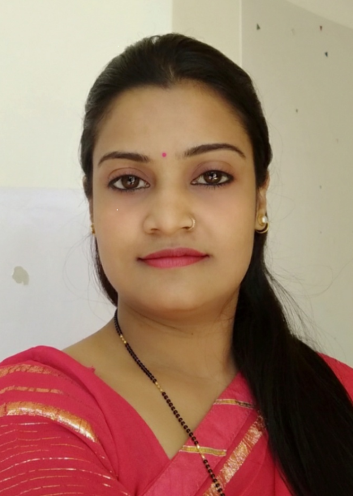 Mrs. Charu Sharma is working as an Assistant Professor in BBA & BBA-(IB) Department, Indira College of Commerce and Science since 2018. Her teaching areas are Entrepreneurship Development and Financial Management and Economics. She has completed her M.B.A.(Entrepreneurship and Finance) and M.Com (Business Administration) She has participated in several seminars and conferences and attended various workshops. She is actively engaged in all curricular and co-curricular activities viz. organizing Interclass Quiz competition, and Group Discussion, debate competition, Industrial visits, guest lectures. 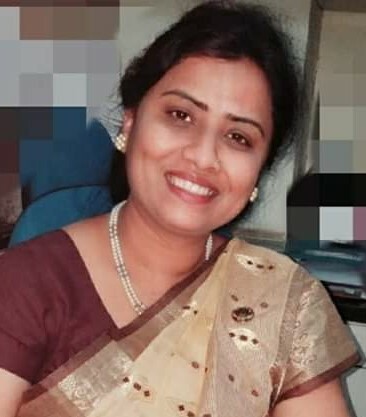 Mrs. Gouri Vaidya is working as an Assistant Professor in Indira College of Commerce and Science since 2018. Her teaching areas are Database Management Systems and software engineering. She has completed her M.C.A. from RTM Nagpur University and has also qualified Maharashtra State Eligibility Test (SET) in Computer Science. She has presented and published 9 research papers in national and international conferences/Journals. She has been awarded First Prize in National Conference for best Research Paper at ICCS Pune. She has cleared Certification in Big Data analytics and Data Science (by ICT India), Oracle Certification (OCA-Developer Track) and Microsoft Certification (MCP-Web Technology Track). 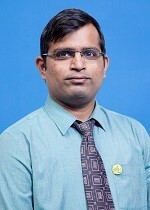 Mr. Ashok Raut is working as an Assistant Professor in Indira College of Commerce and Science since 2018. His teaching subjects are Micro Economics, Business Ethics, and Management Information System. 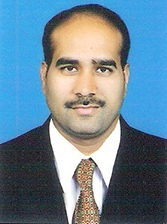 He has completed his MBA from University of Pune and has also qualified UGC-NET examination in 2011. 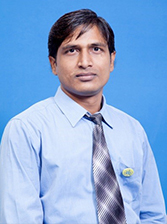 He is currently pursuing Ph.D. from Symbiosis International University in the area of Online Rural Marketing. He has presented and published 7 research papers in national and international conferences. He has co-authored book on E-commerce published by Thakur Publications.. He has handled many university related activities viz. question paper setting, assessment of papers, attending various workshops like syllabus restructuring. Mr Dinesh Dharmasheelan Panicker is working as Assistant Professor in Indira College of Commerce and Science since 1st August 2018. His teaching areas are Company Law, Business Regulatory Framework, Industrial Relations & Labour. He has completed his BSc(Physics) from Fergusson College, Pune University in 2006 and LL.B from D.E.S Law College, Pune University in 2009. He started his career as a practising lawyer exclusively in criminal side under guidance of Adv. Prasad V. Kulkarni for 3 years. Further, he started his independent practice in Shivajinagar District Court. He was working as a visting faculty for law in ICCS from 2011 to 2016 and was legal advisor of women’s redressal committee, ICCS. He was also a visiting faculty for law in Balaji College of Arts & Commerce from 2013 to 2015. His passion for teaching has made him devote maximum quality time to academics. 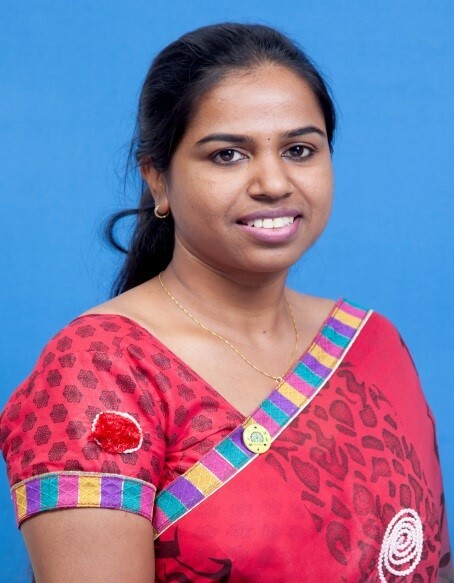 Ms. Suwarna Kedari is working as an Assistant Professor in Indira College of Commerce and Science since Aug 2018. Her teaching areas are Programming languages, theoretical computer science, operating system and Databases. She has completed her M.Sc. (Comp. Sci.) from Pune University and has also qualified UGC-NET examination. She has presented and published several research papers in national and international conferences. She has handled many universities related activities viz. assessment of papers, attending various workshops like syllabus restructuring. 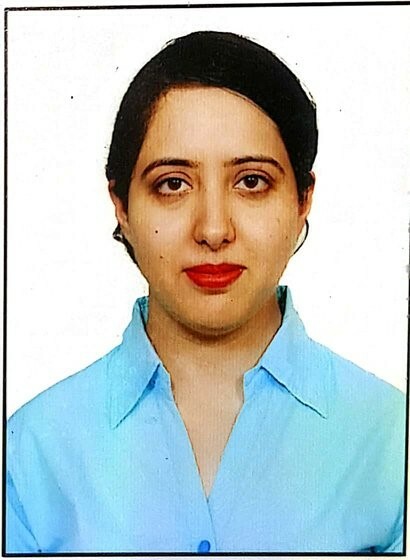 Ms. Harpreet Kaur is working as an Assistant Professor in Indira College of Commerce and Science since July 2018. She has 5 years of experience in teaching field. Her teaching areas are Financial Accounting, Cost Accounting, Management Accounting, Corporate Accounting, Financial Management, Mercantile Law etc. She has completed her M.B.A. in Finance & Marketing from Swami Vivekanand University-Meerut, B.Ed. from Maharishi Dayanand University-Haryana and also completed M.Com from Delhi University-New Delhi. Apart from teaching she handles many administrative chores and also guides and mentors the students being their class teacher. She is actively engaged in all happenings and activities (curricular and co-curricular) viz. organizing Interclass competition, team building activities, Industrial visits, guest lectures and workshops. 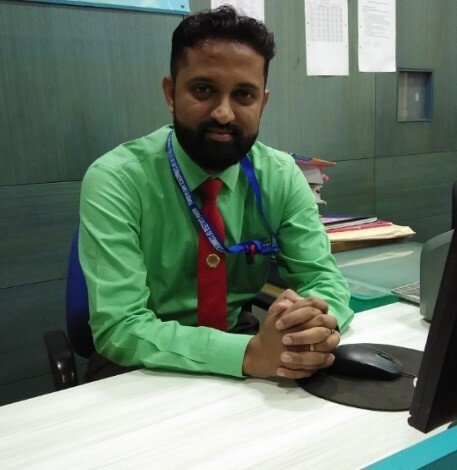 Mr. Deven Mahajan is working as an Assistant Professor in Indira College of Commerce and Science since 2018. His teaching areas are Data Base Management System, RDBMS, Operating Systems and Operating System. He has completed his MCA from RTM Nagpur University. He has presented and published several research papers in national conferences. 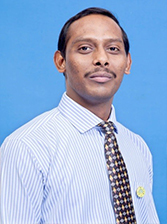 He is ERP Coordinator for BBA-CA department. He has handled many university related activities viz. handing of practical examination, assessment of papers, attending various workshops like syllabus restructuring. Dr. Deepa Jamnik is working as an Assistant Professor in Indira College of Commerce and Science. Her teaching subjects are Principles and Practices of Management, Elements of HRM, Business Organizations and Systems, Advertising and Sales Promotion, Sales Management. She has conferred a degree PhD, MBA and has also qualified UGC-NET examination (in Management). She has presented and published 5 research papers in national and international conferences. She has appointed as a Coordinator for the board of Extra Mural Studies Savitribai Phule Pune University, Pune. Apart from teaching she handles many administrative chores and also guides and mentors the students being their teacher and guide. She has handled many universities related activities viz. question paper setting, assessment of papers, attending various workshops like syllabus restructuring. she has also received ‘Yuva Gaurav Puraskar’ for yeay 2010-2011from Nehru Yuva Kendra, Ministry of Youth Affairs and Sports , Government of India. Certificate from Ministry of Information & Broadcasting Western Region Pune for co-operation & successful participation in Cultural events. 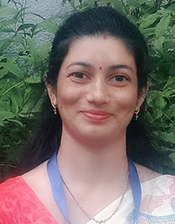 Ruchika Kathuria is working as Assistant Professor of English at Indira College of Commerce and Science since June 2018. She has a teaching experience of nearly twelve years at college level. With good communication skills, she tries to impress students with innovative teaching methodologies that aim at their active involvement and participation in the classroom activities and also improving their basic grammar and language skills. She likes to counsel and mentor students and also guides them for various inter and intra- college elocution and debate competitions. She is interested in writing, reading, and healthy discussions and also participates in curricular and extra-curricular college activities. She anchors various programs and events in college. 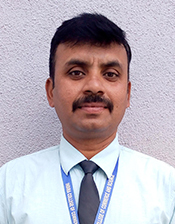 Mr. Ranjeet More is working as an Assistant Professor in Indira College of Commerce and Science since June 2018. He has 6.5 years of experience in teaching field. His teaching areas are Business Statistics, Business Mathematics, Production and Operations Management, Quantitative Aptitude etc. He has completed his M.B.A. in Marketing from Savitribai Phule Pune University-Pune and has also qualified UGC-NET Examination-Management in the year 2012. He has presented and published 4 research papers in national and international conferences. Apart from teaching he handles many administrative chores and also guides and mentors the students being their class teacher. He is actively engaged in all happenings and activities (curricular and co-curricular) viz. organizing Interclass competition, marketing activities and competition, Industrial visits, guest lectures, and workshops.